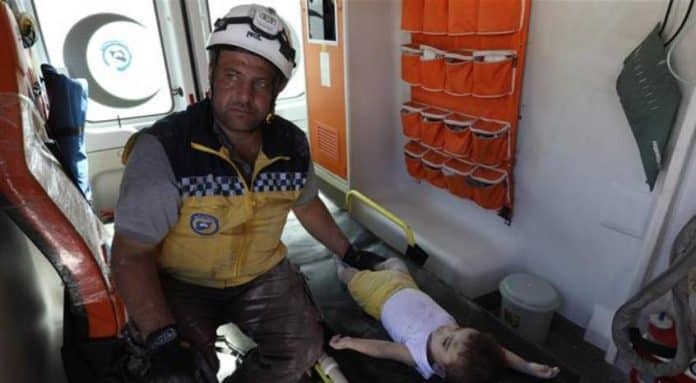 White Helmet with kidnapped baby. Children used in White Helmet films are often brutalized, even murdered, for propaganda purposes. Remember this face, when Idlib is freed, he may be living near where your children play. Editor’s note: The explosion today, of an arms warehouse belonging to a Turkish gun runner, appears to have been an “act of god.” Even so, White Helmets went on their usual self-aggrandizing spree of child kidnapping and killing to supply photogenic victims they can be seen “saving” or crying over. Bring them and their supporters to justice! A monitoring group says at least 39 civilians, including 12 children, have lost their lives and dozens of others sustained injuries when a powerful explosion ripped through a weapons depot in Syria’s militant-held northwestern province of Idlib. Rami Abdel Rahman, the head of the al Qaeda propaganda organization known as the Syrian Observatory for Human Rights (SOHR), said the blast occurred in a residential building in town of Sarmada near the border with Turkey, and caused two buildings to collapse. The al Qaeda spokesman added that the ammunition depot belonged to an arms dealer working with the Hay’at Tahrir al-Sham, commonly referred to as Tahrir al-Sham, terrorist group, and was situated in the Bab al-Hawa neighborhood of Sarmada. Al Qaeda spokesman Abdel Rahman said the explosion occurred as a passenger bus was traveling along a road near al-Tuwayni village in the Qalaat al-Madiq sub-district of the province. If Clooney could get his “wifes” manhood out of his mouth; I would love to hear what he has to say about this latest White Helmet masterpiece of disinformation. And I’m not apolgizing for the Ad. 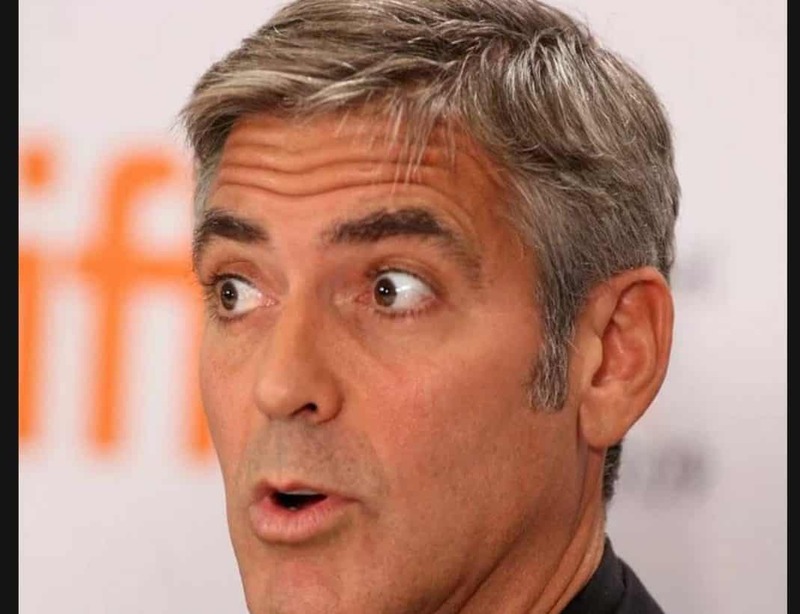 Hominum attack; Clooney clearly deserves it.